Saying sorry, or apologising, in your relationship is crucial at times. It’s definitely a skill that all of us need when we’re trying to resolve past relationship pain and save our marriage, or save our relationship. It’s important to apologise in a way that shows that you really are genuinely sorry for what’s happened and for how your partner has been left feeling as a result of what’s happened. It’s important that your apology shows your partner that you really empathize with them and that you truly care about, and respect their feelings. And finally, when you do apologise, you need to show your partner that you will do everything you can to not do the same thing in future. Because let’s face it, while you might be genuinely sorry in that moment, if that’s where it ends and you just keep doing the same thing in the future, your apology won’t mean anything. In fact, it will sound like you’re “sorry that you got caught” rather than being genuinely sorry about what you’ve done or said and how that has left your partner feeling. But it’s not just the act of saying sorry that matters. It’s making sure that you say it in a way that will help your partner know that you’re really genuinely sorry. And believe me, this is important because sometimes the way people try to say “sorry” actually makes things worse, rather than better. While it’s completely understandable that you will want to explain to your partner all the ‘valid’ reasons “why” you did what you did, or why you said what you said–doing that in that same moment is never going to be helpful. Many of us say things like: “I’m sorry I did it, but I wasn’t meaning to upset you!”, or “I’m sorry, but you do that too…” But that’s definitely not helpful, because the word “but” seems to negate or undo the apology. As soon as you include the word “but” as part of the apology your partner will probably hear you as just defending yourself or making excuses, rather than being genuinely sorry for what you did (or for how they feel). So including the word “but” is not helpful as part of your apology. At times when you really are sorry and you want to apologise to your partner, you need to focus on “the being sorry bit” and not talk about “the defending” or “the explaining” bit. There will be plenty of time to help your partner to understand the real reasons why you did what you did, or said what you said. But that’s later and definitely not as part of the apology. In fact, I’m just finishing a book that will show you an approach to help you and your partner completely resolve all of those issues without using a “but”. The approach that my book outlines around this gets great results and helps to make sure that your partner understands exactly why you did what you did, without causing any issues. And it does this in a seamless, transparent way that actually brings you closer together as a couple, rather than pushing you apart or building up resentment between you.So keep an eye out for my book. If you haven’t already done so, sign up to download my free report (in the right hand column) and to join the community, so you can be one of the first to know when my book’s available. The second tip is to soften your tone when you’re apologising. Don’t just say: “fine, I’m sorry then!” That doesn’t come across as an apology. That’s because when you say that, even though you’ve used the word “sorry”, the message that your partner will probably really hear (and react to) is something like: “Leave me alone, I don’t want to talk about this anymore!” And believe me, that’s not going to feel like you’re actually sorry. If you want to show your partner that you’re genuinely sorry, you need to show them that you genuinely had no intention of hurting them, upsetting them, or doing the wrong thing by them. And softening your tone of voice and approaching them in a more gentle way can be extremely helpful at that time. Sometimes your partner might get hurt because of something that you did or said, even when you had no intention of upsetting them or hurting them. This is quite common. And it’s easy to think that you don’t have to apologise because you didn’t mean to hurt them. But that’s not true. 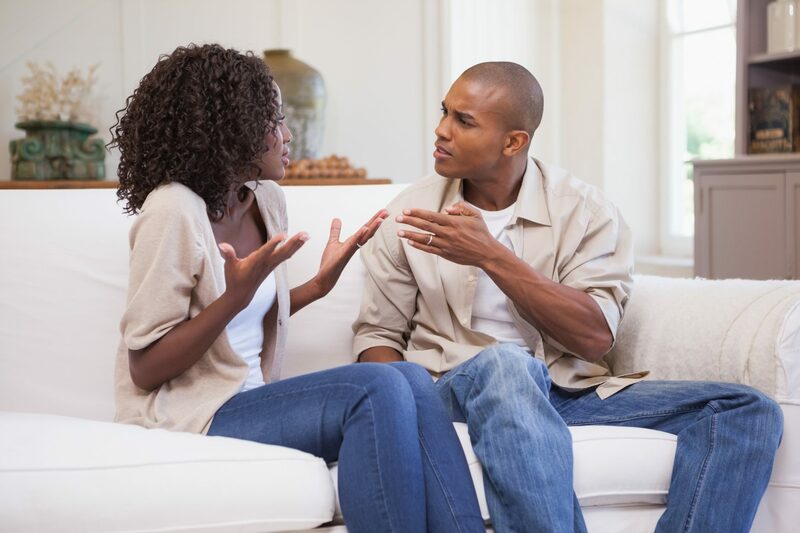 Apologising is not about admitting that you intended to upset, hurt or annoy your partner. Apologising is all about saying that you wish that what you did or said hadn’t affected them in that way. It’s about showing them that you care about how they feel. And whatever you do, don’t try to minimise it or act as if they shouldn’t be hurt by what’s happened. Whether you would be hurt by the same thing or not, telling them that they shouldn’t be hurt is just judging them and making them wrong for feeling what they feel. Because let’s face it, they ARE hurt, angry, or upset. So if you invalidate their feelings, by implying that they shouldn’t be feeling that way, you’re just judging them and showing them that you don’t care about their feelings. If you want to apologise and you want to show your partner that you didn’t intend to hurt them, and that you’re sorry that you did, then step up and apologise! You want your partner to know that you really care about how they feel. You want them to know that your intention is to make them feel loved, supported, nurtured and valued. If it’s at all possible, even if you’ve already apologised by email or text message, apologise again when you see them in person. And do it as soon as you can… the very next time you see them alone. Here’s why: When we communicate by email or text message the other person only gets about 7% of the communication that they would get if you were actually talking to them face to face. They miss out on your tone of voice, your body language and everything else that we pick up on when we’re talking to them in person. So when you communicate via text or email it’s easy for people to misinterpret what you’re actually meaning. So to make sure that your partner knows you’re definitely sorry for what happened, always apologise to them again in person as soon as you have a chance. This shows them that you’re genuinely sorry and not just trying to avoid talking about what happened. If you have apologised, don’t expect your partner to immediately be on board with it. Just because you’re ready to apologise now, that doesn’t mean that your partner is ready to forgive you, or let things go straight away. So don’t push them to do that! Accept that it might take some time for your partner to think about and accept your apology. They need time to see that you’re really genuine and that you do care about how they feel. So don’t pressure them to be okay with it straight away. Don’t get angry or react if they need some time to think about it first. If they stay angry for a bit and keep saying things about what’s happened, just stay calm and let them vent. And then apologise again and commit to doing something different in future (if this is appropriate). Allow your partner the time and space that they need to work through their side of things–without adding more pressure from you for them to instantly be okay with everything. Be patient, respectful and empathetic. As I mentioned above, there’s no point apologising for something you’ve said or done if you have no intention of changing your future behaviour. If you’ve done something (or not done something) and you then apologise for it, commit to changing your own behaviour in the future. That’s because it’s not just about saying sorry. It’s about showing your partner that you’re sorry by taking action and doing things that will show them that you respect them. So rather than just saying sorry, “be sorry”. Your job is to show your partner that you’re willing to “do things differently” going forward. Sometimes learning how to apologise well can feel really embarrassing at first. Let’s face it, as human beings it can be hard to admit that we’ve done something less than optimal. But that’s okay. Let yourself be a bit vulnerable and embarrassed. That simply means that you’re learning new skills and stepping out of your comfort zone. How good are you at apologising? Are you good at saying “sorry”? Do any of the ideas above help? I’d love to hear what you think and how apologies affect your relationship. If you think there’s something that you need to apologise for, doing that can make the world of difference to your relationship. So make a conscious effort to try out a few of the points above? And then come back and let me know how you go by leaving a comment below?